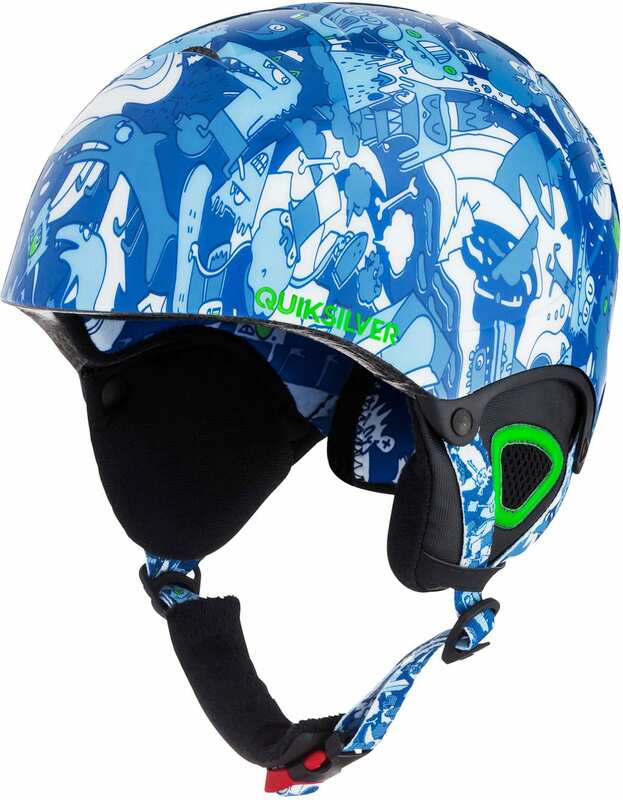 Get in the game with the Quiksilver "The Game" Snow Helmet. 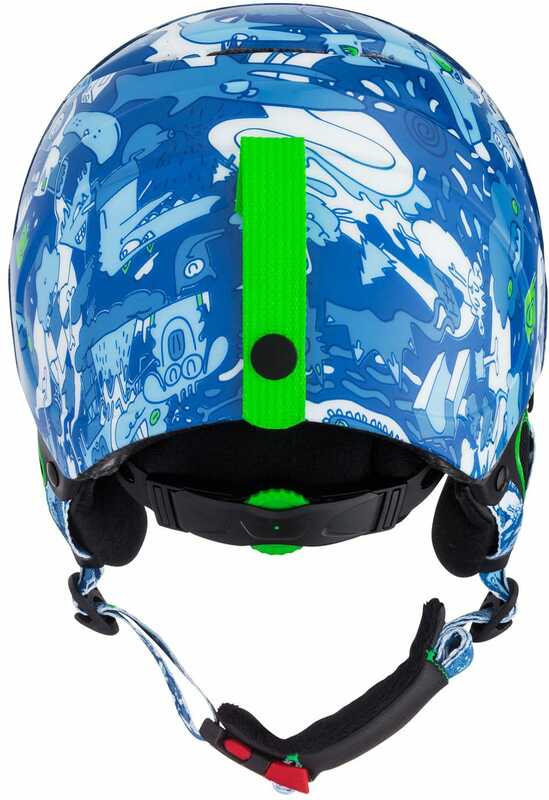 Featuring a Double Micro Shell Superlight In-Mold Construction and an EPS shock absorbing foam, this helmet was designed with your little groms in mind to keep them safe all over the mountain. 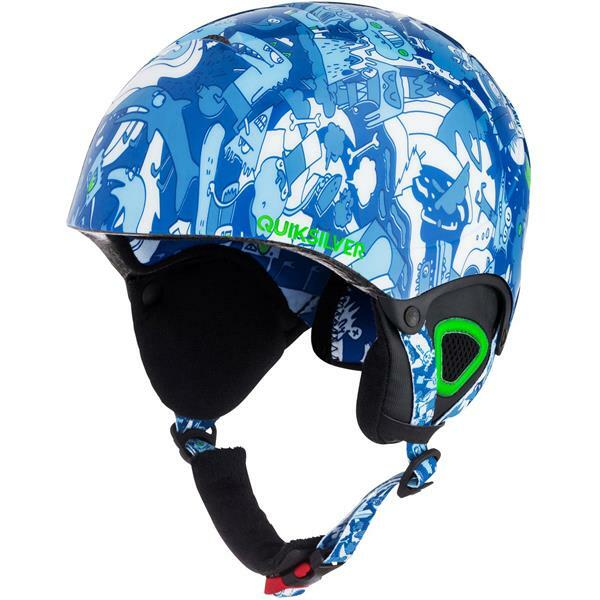 While keeping the head injuries to a minimum, the top venting and inside EPS channels, it has increased airflow to keep the temperature regulated. 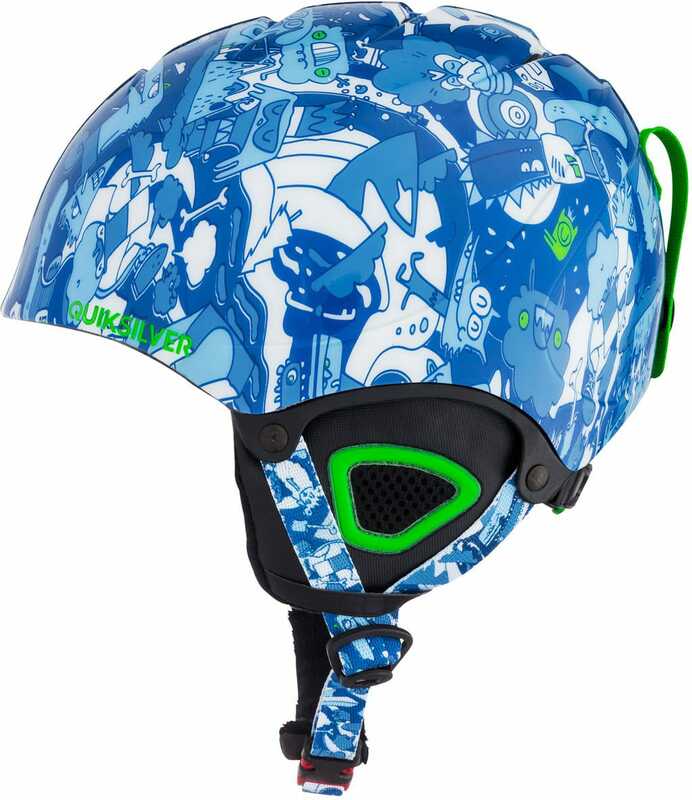 Also, the mesh and fleece lining with removable, soft Sherpa Fleece Thermoformed earpads keep your little ones comfortable and protected from the harsh mountain environments, all day long.